The next imaging opportunity suffered from poor transparency but having recently acquired a vintage 200mm Takumar lens I was interested to test its astro performance. 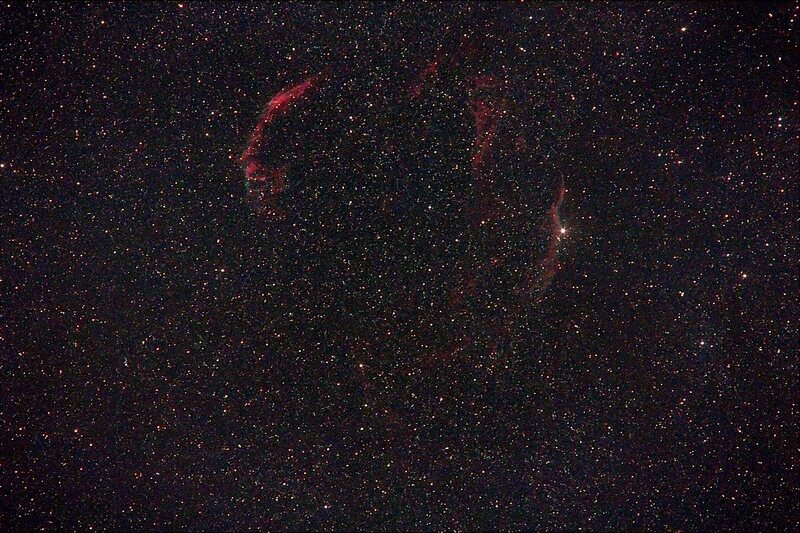 I selected The Veil Nebula in Cygnus as a target which fitted easily into the field of the lens. The result wasn't very spectacular due to the lack of transparency but the lens seems to be nicely sharp with a flat field so I look forward to trying it again under better conditions. Details: Takumar 200mm @ f5.6 (full field) 20x 5minute exposures @ iso1600 with CLS in DSS, FIV, CS2 & XAT.